Mr. Keith Fenner, Vice President Sage Enterprise Africa and Vice President Sage Middle East. 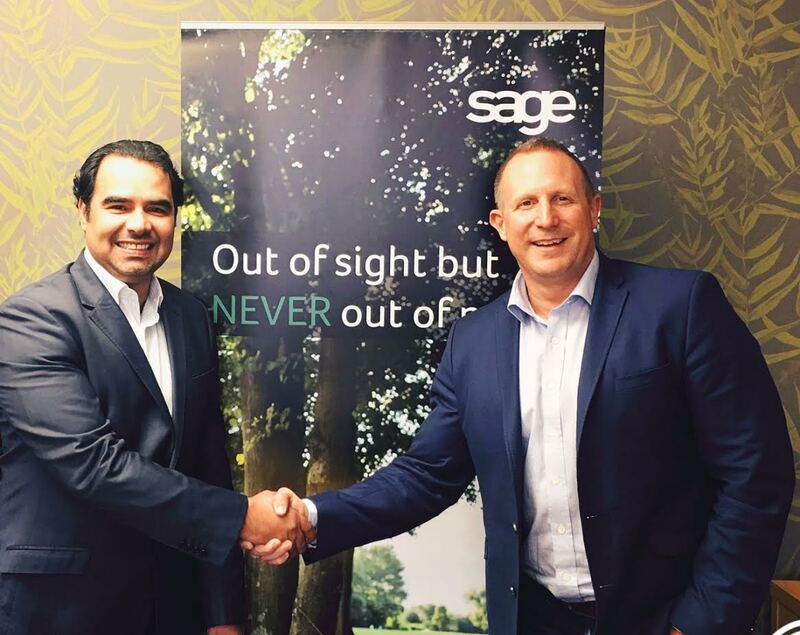 Riyadh/Dubai: Sage, the market leader for integrated accounting, payroll and payment systems, has appointed Josor as its business development and distribution partner for Sage X3, Sage X3 People, Sage 300 and Sage CRM business management solutions in Saudi Arabia. Josor, founded in 2011, helps Small & Medium Businesses in Saudi Arabia to develop and flourish by providing them with best-in-breed products and services from internationally and nationally renowned industry leaders in areas such as finance, marketing, and technology. Josor benefits from the strong leadership of Mr. Abdulmohsen Albadr, the company’s founder & CEO. He has extensive experience in government and the private sector, having served as a senior executive at the Saudi Arabian General Investment Authority (SAGIA) and having held a range of management positions at Saudi Arabian companies. Mr. Albadr also contributes towards social and charitable work, and has held the position of board member of the AlGhad Youth Foundation. Capitalizing on Josor’s reputation in the Small & Medium Business sector in Saudi Arabia, the agreement will offer Sage partners a solid platform to grow their businesses by taking advantage of the thriving Small & Medium Business and technology sectors. “The ability to provide the best business management solutions to our clients, especially Small & Medium Businesses, at this critical juncture of Saudi Arabia’s economic development gives us great pride. We are confident Sage solutions will give organizations in Saudi Arabia a competitive advantage both locally, regionally and internationally,” commented Mr. Albadr, Founder and CEO, Josor. “This is an exciting partnership that will act as an enabler for the Small & Medium Business sector in Saudi Arabia. As the focus shifts to the non-oil industries and the Small & Medium Business sector, partnering with Josor will open doors for us in the Kingdom. We are thrilled to partner with a trusted name such as Josor in the promotion of our solutions,” commented Mr. Keith Fenner, Vice President Sage Enterprise Africa and Vice President Sage Middle East. A report on the ‘Small—Medium Enterprises in Saudi Arabia, 2016’ by the Jeddah Chamber suggests that nearly 90% of all business enterprises are Small & Medium Businesses contributing about 33% of Saudi Arabia’s GDP. Following government policy documents such as ‘Vision 2030’, the sector is set for rigorous change and development if its net contribution to the GDP is to increase. The use of Sage solutions to streamline business operations, and planning, will assist organizations with change implementation and management. The solutions will empower organizations with information and free resources (time, people) for strategic growth of the organization, and the sector. Founded in 2011, Josor is a unique business practice focusing on the development of Small & Medium Businesses in Saudi Arabia. The company’s business solutions are a result of long experiences and involvement in the Saudi business market where they provide services that fills the gap and response to the major needs and challenges of the sector in Saudi Arabia. The company has established a strong partnership with national and international leaders in the financial, marketing, and technology industries.